Managed Funds are professionally managed investment vehicles that allow investors to diversify across a range of asset classes. In addition, by pooling together capital with other investors, Managed Funds provide access to local and overseas investment products that are not typically available to individual investors. Gleneagle Securities’ Managed Funds are operated by professional program managers who adhere to model portfolio guidelines, set out in freely available product disclosure statements. Our clients benefit from full transparency when trading with any of our managed investments. With Managed Funds, you choose which fund suits your investment objectives and risk profile. Rather than choosing specific assets, you apply to invest into units of a desired fund and benefit from the expertise of professional fund managers who make all the asset investment and diversification decisions. Our clients can select from a range of model portfolios or combine multiple portfolios in one individual account. Apply for units in a fund that meet your financial objectives and risk tolerance. Clients do not own the underlying assets, but rather own units in the fund. Want to Find Out More About Gleneagle's Managed Funds? Gleneagle offers a range of Managed Funds that will suit the needs of different types of investors. Gleneagle Securities provides diversification opportunities through our Managed Funds products. By pooling together funds, clients gain access to local and overseas investments that aren’t typically open to the individual investor. Enjoy full transparency when trading with one of our managed investments. 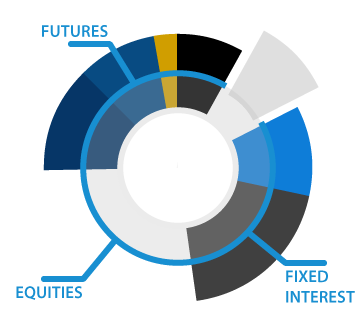 Rather than receiving periodic updates (monthly or quarterly), clients of Gleneagle’s managed investments are able to view live results at any time. Clients benefit from professional fund managers who not only have the skills and experience required to handle investment selection and risk management, but also industry relationships that give them access to investments abroad. Managed Funds’ assets are subject to market movements, which can be rapid and are dependent on local and global economic, political, industrial or social factors. Assets Managed Funds invest in are subject to their own risks. Funds that invest in international equities markets, for example, may have their investment value affected by foreign exchange fluctuations. Managed Funds that offer greater returns to investors generally involve greater risk and there is the possibility of sustaining losses up to the entirety of your investment. Ready to invest in a Managed Fund with Gleneagle? How long does it take to process an application for a Managed Fund? When providing personal information, it typically takes 48 hours to process a Managed Fund application. However, if you provide trustee information, it takes 5 – 10 working days to process a fund application. How do I receive returns on my investment? Please refer to your Managed Fund’s PDS, as how you receive your returns is dependent on the Managed Fund you invest in. Generally, some Managed Funds pay out an income, which will be sent to your designated bank account. Other Managed Funds grow in value and returns are received upon redeeming Managed Fund Units. Note that your funds can only be paid into bank accounts that have the same name as the one registered with the Managed Fund. How can I track the value of the Managed Fund I've invested in? Monthly reports detailing the Managed Fund’s performance will be provided to investors via email. To redeem units in a Managed Fund, please contact your Gleneagle Advisor. Some funds have a minimum redemption requirement. Note that your funds can only be paid into bank accounts that have the same name as the one registered with the Managed Fund. How do I make additional investments in a Managed Fund? To make additional investments into a Managed Fund, please contact your Gleneagle Advisor. Note that some Managed Funds will have a minimum deposit. Are the funds I invested held with Gleneagle Securities? Please refer to your Managed Fund’s PDS regarding where your funds are held.